Rate this Article Knowing how to take care of your horse is one of the most crucial skills to have in horse games. In this article we’ll be giving you all the information you need to properly take care of your horse and make sure that all its needs are attended to. Knowing how to take care of your horse is one of the most crucial skills to have in horse games. In this article we’ll be giving you all the information you need to properly take care of your horse and make sure that all its needs are attended to. Before we start off and get into the actual advice itself, it’s worth mentioning that this advice is only as effective as you make it. Doing only half the things mentioned here simply will not cut it so it’s highly recommend that you take all this advice to heart and make sure you do all the things necessary to make sure that your horse always remains in top notch condition. First and foremost comes feeding. This is the most important aspect to taking care of your horse so you must constantly make sure that your horse is well fed at all times. Feeding horses in Alicia Online is slightly different than in most traditional horse games because each horse actually has its own favorite food. There are three treats in the game and four main feeds. Each horse has its own favorite treat and feed and you have to figure out on your own which ones your horse prefers the most. In order to do so you must give it each and every one of the treats and feeds and see which one it reacts best to. Once you figure out which treats and feeds your horse likes the most, all you have to do is make sure that you give them to the horse at the right times and your horse will remain well fed and happy. If you often take your horse out on races and rides then it’s likely that it’ll sustain injuries from time to time. These injuries must be given a high priority because they can impact the health and mood if your horse if not dealt with appropriately. In order to treat your horse you must first analyze its wound and then give it the proper treatment. Giving your horse the incorrect treatment will have essentially no effect which is why it’s crucial to analyze the type of injury beforehand. Although it might not sound as important as compared to the aforementioned activities, keeping your horse clean is actually pretty crucial. You should try to make sure that you clean your horse after every ride or event because it’ll almost certainly be dirty after these. Clean horses are not only more visually appealing but they also seem to be in much better moods. Last but certainly not least, it’s of the utmost importance to make sure that your horse has the proper equipment. Acquiring top notch equipment might set you back a little bit in terms of currency but it’s almost always worth it because your horse will definitely perform better when well equipped. 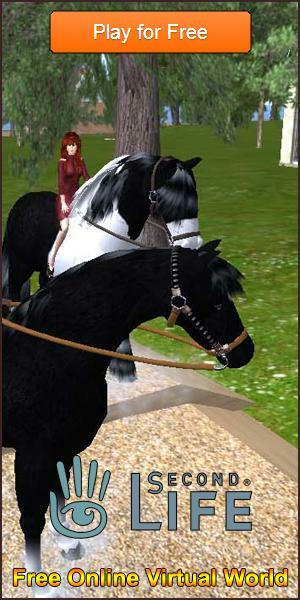 All said and done, as long as you keep all the aforementioned advice in mind when playing Alicia Online and actually use it when playing the game, your horse will look better, feel better and perform better when it counts.